Rickie Fowler has some new weapons in the bag this week. After a few months of testing Cobra's new line of equipment, Fowler will debut the Cobra F8+ driver at today's Hero World Challenge. As GOLF.com's Michael Chwasky wrote upon Cobra's unveiling earlier this month, the key to the King F8+ design is the fully machined forged face, which is CNC-milled to control thickness. You can see the milling for yourself below. If it looks different, that's because it is: no driver has ever featured this type of milling. 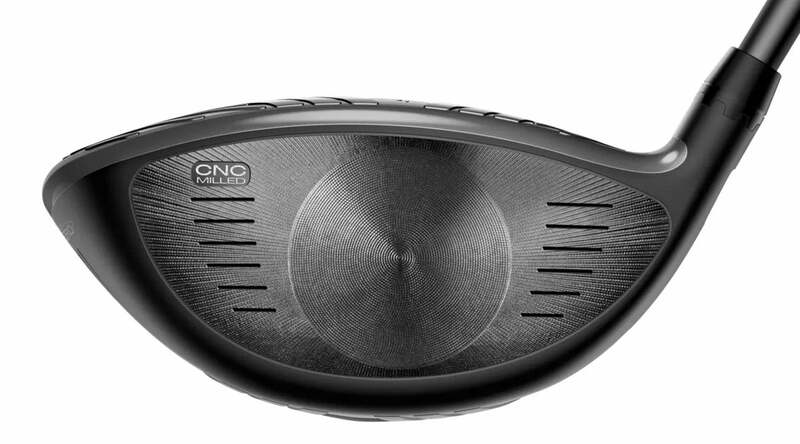 The result is a lighter, thinner face, a bigger sweet spot and more flex and distance on mishits. The F8+ features 12- and 2-gram weights in the back and front center of the sole for ball-flight tuning—moving the heavier weight closer to the face produces a more penetrating flight, while setting it in the back increases launch and spin. Fowler will have his F8+ set to 8 degrees, and he'll be playing the Nardo grey color (the driver is also available in black). In addition to the new drivers, Fowler will also put Cobra's new F8+ fairway metals into play, which feature carbon fiber crowns for lower CG locations and improved launch and reconfigured "baffler rails" for better turf interaction. The King F8 and King F8+ metals will be available for retail on January 12, 2018. Fowler will be hard-pressed to hit it better off the tee than he did in 2017, when he ranked 5th on Tour in total driving. But the golf world will get its first look at the club when he tees off in the Hero World Challenge at 12:27 p.m. Thursday.